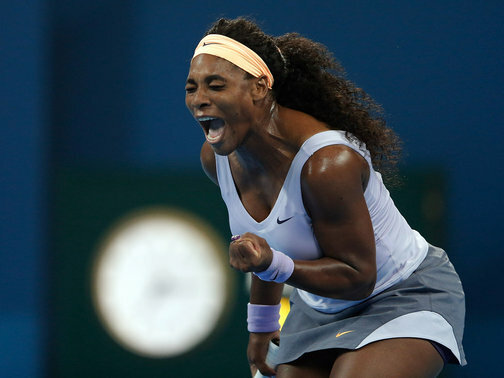 World number one Serena Williams defeated Jelana Jankovic in straight sets to win her second ever China Open title. The Serb and former world number one put up a fight but in the end it was the unstoppable force of Serena Williams that came out victorious 6-2 6-2. Jankovic the number eight seed fought a hard battle against Williams as it looked like a comeback was on the cards in the second set with Jankovic breaking early. The scoreline did not reflect the level of competitive tennis in which was played in Beijing today. Both players were evidently in pain at periods throughout the match with both players having to request their coach. Williams hit twenty nine winners past Jankovic who hit just nine. Serena Williams won her tenth title this year after capitalising on her third champion point against Jankovic the 2008 winner.